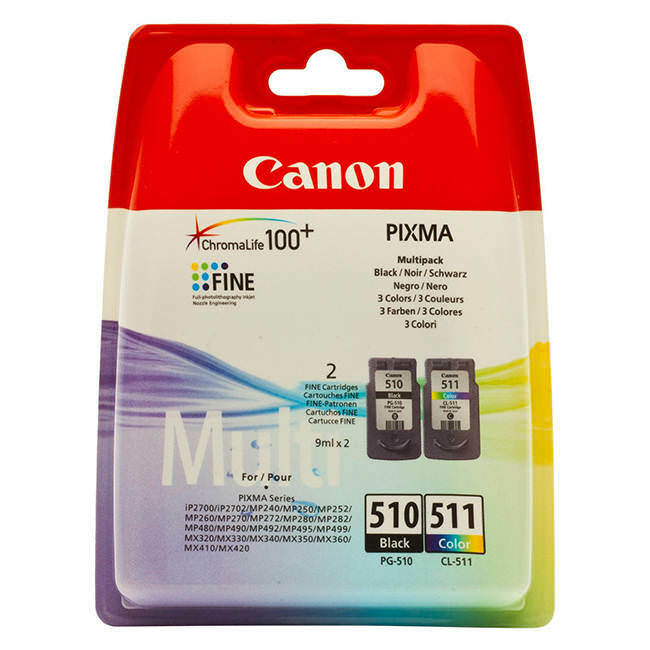 This genuine Canon ink cartridge multipack contains one each of the PG-510 and CL-511. The Canon PG-510 is a standard capacity black ink cartridge and the CL-511 is a tri-colour cartridge containing cyan, magenta and yellow ink. The Canon ink cartridges contained within this 2970B010 multipack are designed to be the cheapest way of getting your printer up and running and do not contain as much ink as the PG-512 and CL-513 also compatible with your printer.